It's been about 4 months since the Xbox One S has been released for sale in stores. The price tag on it is still pretty high and some of us might be wondering if it is worth it selling off our old Xbox One and upgrading to the new version. 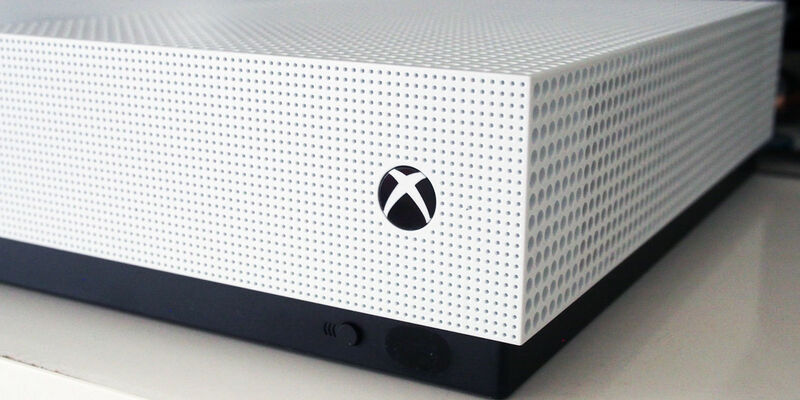 In this blog, we'll be covering some pros of having a Xbox One S vs the old Xbox One. While many of us love our Xbox One's, not all of us love how bulky it is. The new Xbox One S is 40 percent of the size of the original Xbox One, which is a huge upgrade. The side-facing USB ports are no more, as the S has offers front-facing ones that are easier to access. This affects how you can set up your console because, before they changed it, you would have to worry about leaving room to access the side-ports. Microsoft has also done away with the external power supply (power brick) and replaced it with an internal one, freeing up a bunch of wire clustering. Not only is the original Xbox One bulky, but its ugly too. It looks like one of those old illegal black boxes you got from "that guy you knew" to pump cable into your grandmother's apartment (Anyone?). Microsoft recognized this and had mercy on guys like me that are tired of hearing about it from their significant other. The New Xbox One S looks far sleeker with its matte plastic that doesn't show/collect dust like the original XB1. It also has sharper edges and a better contrast with its white exterior that make it far more pleasing to the eye. Obviously, for gamers, the biggest upgrade in the Xbox One S is the ability to play in 4K resolution. The crisp quality of 4k gaming is an upgrade over the 1080i available on Xbox 1. For those Xbox gamers that own 4k TVs, making the switch is a must. Whether it's being able to clearly see a sniper from 400 yards away in Battlefield one, or watching every blade of grass bend under the weight of the ball in FIFA 17, gaming in 4k is the cutting edge technology to take yourself to the next level. Now, I don't personally believe there is anything wrong with the original Xbox One controllers. But that doesn't mean that they couldn't be improved. Like its 360 predecessors, Xbox One controller thumbsticks are not particularly tough. After a few months of usage, they can begin to warp and lose their grip. There are few things more frustrating than your thumb slipping at a crucial moment in the game. The Xbox One S controllers have tougher thumbsticks to combat this problem. The body of the controllers also has a grippy texture on it that helps with that same problem. Possibly the biggest hardware upgrade to the Xbox One S is that it doubles as an Ultra 4k HD Blu-Ray Player. This means, like for 4k gaming, if you have a TV that supports 4k, you can watch movies in 4k! It will end up saving you movie junkies some money as well! Currently, Ultra 4k HD Blu-Ray players can cost anywhere from $400-700, while the Xbox One S is only $299.99. Obviously, Panasonic HD Blu-Ray players do offer a higher/crisper quality, but the difference is not that massive. The addition of the Blu-Ray player in the Xbox One S makes it totally worth the money. Well now that I've given you some reasons to buy the new Xbox One S, I'd like to touch briefly on Microsoft's next project, Project Scorpio. "The most powerful console ever, with 6 teraflops of graphical processing power...The first and only console to enable true 4k gaming and hi-fidelity VR...Compatible with all your Xbox One games and Accessories". There is also a video from the developers on that page that pretty much echoes the same sentiments. This new console is also supposed to have 320 GB/s of memory bandwidth and 8 CPU cores. Based off the consoles we are working with now, this sounds like some sort of Super-Console! It has all of us at Tekbotic super excited. Check back for more updates and blogs about Project Scorpio.